HUNTINGTON, W.Va. – In recognition of Recovery Month, Marshall University will present a free screening of Recovery Boys, the latest documentary film from Elaine McMillion Sheldon, who received an Academy Award nomination for Heroin(e). The free screening will be at 7:30 p.m. Thursday, Aug. 30, at the Joan C. Edwards Playhouse on Marshall University’s Huntington campus. The lobby opens at 6 p.m., and the playhouse opens for seating at 7 p.m.
All are welcome. The feature-length documentary film follows four young West Virginians battling substance use disorder and making an effort to improve their lives. 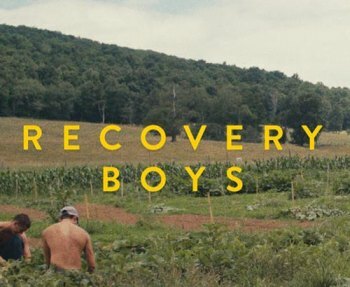 Recovery Boys displays the strength, brotherhood and courage needed for those who overcome addiction, the inner conflict of recovery and hurdles faced in reentering society. This showing is sponsored by Marshall University’s Wellness Center and W. Page Pitt School of Journalism and Mass Communications, as well as West Virginia Public Broadcasting.